You’ll have a great time in Glasgow while attending IMCC3, but why stick to one city? Scotland is a beautiful and remarkably small country, so it’s really easy to travel around. And number one on any itinerary would have to be a trip to Edinburgh, Scotland’s capital city. Catch a train from Queen Street Station in Glasgow, for the 55-minute journey delivering you straight into Waverley Station, in the very heart of Edinburgh. Stroll along Princes Street as you get your bearings and grab a coffee in Jenners. This iconic department store is a mecca for shoppers but also has a fantastic restaurant and café/bar with great views of the city. 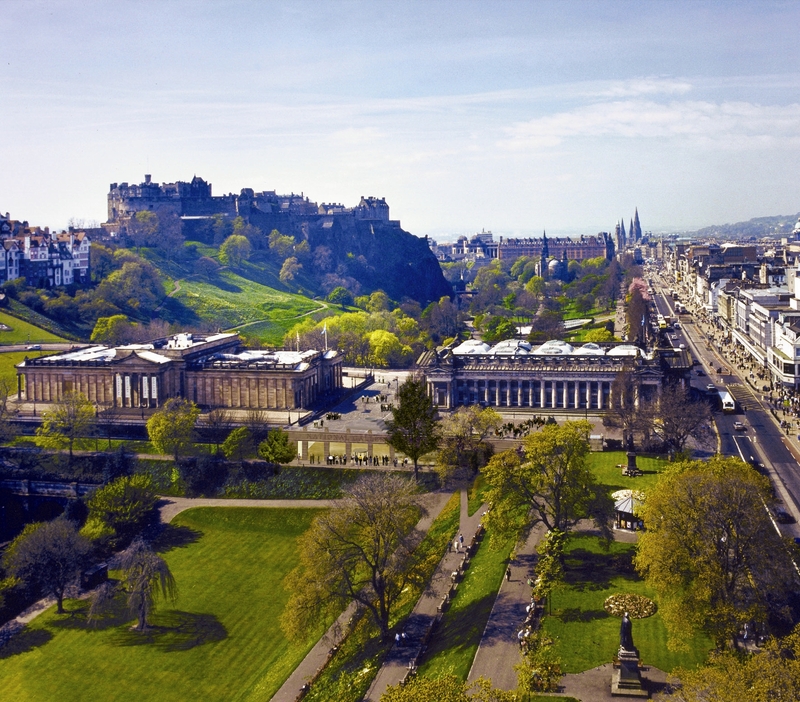 Wander through the glorious Princes Street Gardens, past the Scott Monument. You can climb the 287 steps to the top if you’re feeling energetic! Carry on up the Royal Mile (yes it is just a mile, honest!) and you’ll come to Edinburgh Castle; Scotland’s number one tourist attraction. See Scotland’s Crown Jewels, the Stone of Destiny and take in the atmospheric ambiance of the Great Hall. On your way back down the Royal Mile, you might feel in need of a little pick-me-up. And if a dram or two is your tipple of choice, head to the Scotch Whiskey Experience. Located right by the castle, this insight into Scotland’s most famous export is a real treat. Take a tour through a replica distillery, hear the secrets of this magical craft and finish it all off with a sample of the amber nectar itself – nice! 2014 is a time of potentially huge change for Scotland, as we decide if we want to be an independent nation. So, while you’re in the area it would be crazy to miss out on a visit to the new Scottish Parliament building; the place where it’s all happening. You can wander round the public areas by yourself or, if you plan your visit in advance, book a tour and a seat in the Debating Chamber – for free! Museums – Edinburgh’s got a fair few, but a firm favourite is the National Museum of Scotland. It’s recently undergone a face lift and is well worth a visit for the great range of exhibits and galleries. It’s also worth a look just to take in the splendour of the building itself. Sit in the Great Hall and take it all in, then head up to the roof garden for panoramic views of the city – spectacular! Take some time to wander round the Old and New Town, taking in the stunning scenery, architecture and general ambiance of the city. You’ll find loads of places to eat and drink; upmarket restaurants, small artisan cafes, modern brasseries, local pubs. But if you’re looking for something special to eat before heading back to Glasgow, try The Dome in George Street, The Witchery up by the castle or The Dogs Kitchen Bar in Hanover Street – all provide a taste of Scottish cuisine at its very best. And that’s it; a whistle-stop tour of the main sights and sounds of the very heart of Scotland’s capital. But there’s loads more to see and do. So don’t take my word for it – take a trip and see for yourself! –Kirsteen McColgan is part of our Local Organising Committee for IMCC3, living just outside Glasgow. She’s also our Volunteer Co-ordinator.